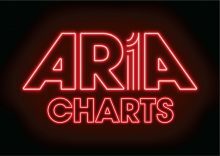 The Chainsmokers and Halsey are sitting at No.1 on the ARIA Singles Chart for a sixth straight week with their current US and UK track “Closer”. “Closer” whilst still the third longest run at No.1 for 2016 so far, it is now the second in regards to the most continuous weeks at No.1 for this year, behind the eight straight weeks at the top for “7 Years” (TW-67) by Lukas Graham, the Drake track “One Dance” (TW-21) had two runs at No.1 here for an accumulated total of seven weeks (four weeks and then another three weeks), so not a continual run for that track. Sia debuted at No.25 last week with “The Greatest” on half-a-weeks worth of sales, and now that it has had a full week on sale it blasts up twenty-three places to land at No.2, becoming not only her ninth Top 10 single (five solo and four as a guest vocalist), but also her sixth Top 5 single and also third Top 2 hit, as 2014’s “Chandelier” spent three broken weeks at No.2 (two weeks in late April, and one more in July), and was guest vocalist on the Flo Rida track “Wild Ones” which notched six weeks at No.1 from late January until early March in 2012. The track jumped from a No.9 debut to No.3 in France and went from 49 to 5 and 80 to 5 in England and Ireland respectively, and leapt from 76 to No.14 in Germany, with it also debuting at No.52 in the US Billboard charts, the highest new entry of the week there.The song is also the second Top 10 for guest rapper Kendrick Lamar, whose only other entry to the ten was as a guest on the Taylor Swift No.1 single “Bad Blood” (3 weeks in June 2015). Calum Scott’s version of the Robyn track “Dancing on My Own” is on hold at No.3 for a second week, whilst also staying put at No.4 are twenty one pilots and their “Suicide Squad” (also at No.4 on the albums chart) theme “Heathens”. Ariana Grande and Nicki Minaj sidle up two spots this week to a new peak of No.5 with “Side to Side”, becoming the fourth Top 5 here for Ariana and the fifth now for Nicki (only one of which was as a solo track for her, the other four have been as guest vocalist). After four weeks of sitting and waiting at No.2, for just one turn in the No.1 spot, unfortunately this weeks sees a four place fall for DJ Snake and Justin Bieber’s collaboration “Let Me Love You”, down four to No.6, whilst right behind is the other current JB Top 10 entry “Cold Water” by Major Lazer feat Justin and M0, which is down two spots this week to No.7 and now certified 2x▲Platinum in sales. Also dropping two places are Illy and Vera Blue with “Papercuts” to No.8, after which we single spot slips for “Sucker for Pain” by Lil’ Wayne, Wiz Khalifa, Imagine Dragons, X Ambassadors, Ty Dolla $ign and Logic, and also “Starving” for Hailee Steinfeld to No.9 and No.10 respectively. UP: Jonas Blue is back up one spot to No.11 with his second Top 10 entry “Perfect Strangers”, which is now ▲Platinum in sales, whilst the same occurs for Mike Perry and his dance track “The Ocean”, swelling back up one to No.16 and newly ▲Platinum certified, whilst the fourth Top 20 cert this week goes to Calvin Harris and Rihanna with “This is What You Came for”, on hold at No.19 for 20th week within the Top 20, and now 4x▲Platinum in sales, whilst his new track “My Way” dropped on Friday, so it should chart next week. Zara Larsson was one of the three Top 50 debuts last week with her new track “Ain’t My Fault”, which is up eight places this week to No.24, after which the next climbing track is for DNCE and their second entry “Toothbrush”, which is up three to a new peak of No.34 this week, and the last new Top 50 peak this week goes to Rihanna and “Needed Me”, which rises four to land at a new chart height of No.44. DOWN: The only Top 10 dropout this week is the first ever here for Martin Garrix; “In the Name of Love” (HP-8, WI10-2) featuring Bebe Rexha, which drops three to No.13, after which we see M0 fall four to No.18 with her solo entry “Final Song”, and after eleven weeks in the Top 20 and climbing no higher than No.13 for four straight weeks, Adele’s “Send My Love (to Your New Lover)” is down four to No.22 this week. Last weeks highest entry in the re-do for The Black Eyed Peas and “#WherestheLove” drops back down ten spots this week to No.25, “Into You” for Ariana Grande is down four to No.30, and with one DNCE track going up, their first Top 10 hit “Cake by the Ocean” drops this week six spots to No.37. Announcing the same drop is Meghan Trainor with her track “Me Too”, falling six spots to No.46 and after entering the Top 50 last week, the new Passenger song “Anywhere” is back down seven spot to No.50. The only Top 50 debut this week is “Perfect Illusion” by Lady Gaga, which is the lead single from her forthcoming fifth studio album ‘Joanne’ (due Oct 21st), and the track comes in at No.14 after half-a-week of sales. The new entry becomes her fifteenth Top 20 hit and her 25th Top 100 appearance, and her first new entry since “G.U.Y.” debuted and peaked at No.88 back in early April of 2014. Lower 50: Snakehips and Zayn fall into the lower fifty this week with their track “Cruel”, down seven to No.52 and newly certified Gold (●) in sales. Joel Adams re-peaks at No.55 with his current overseas hit “Please Don’t Go”, which climbs back up four places this week, and back up one spot to No.57 and now 4x▲Platinum in sales (the last for the week) is “Work from Home” for Fifth Harmony and Ty Dolla $ign. Marc E. Bassy continues his weekly climb, as his EP “Groovy People” is up four spots to a new peak of No.60, and the new Empire of the Sun single “High and Low” bullets up twenty-five spots to land at a new chart height of No.66 this week. Lastly spending its 101st week within the Top 100 and climbing back up four spots to No.96 is the Ed Sheeran track “Thinking Out Loud”, once again making it the oldest charting song at the moment. Guy Sebastian is set to return in the next few weeks as a judge on X-Factor, and ahead of his returning duties on the show, he has a new single entitled “Candle” which enters at No.59 this week. Then at No.62 we see the third chart entry for Dua Lipa entitled “Blow Your Mind (Mwah)”, which follows on from “Be the One” (HP-6, TW-92) and “Hotter Than Hell” (HP-17, TW-89). The Kings of Leon are set to release their seventh album “We Are Like Love Songs” on October 14th, and the first single from the album entitled “Waste a Moment” debuts at No.81 this week, becoming the bands eleventh Top 100 entry and first since “Supersoaker” made it to No.43 in 2013. One week earlier on October 7th OneRepublic are set to also drop their seventh album which will be called “Oh My My”, and the fourth single from that album is new at No.90 called “Future Looks Good”, with their third track from the album in “Kids” (HP-63) sitting at No.84. Finally new at No.97 is Ty Dolla $ign along with fellow US rapper Joe Moses and the track “Wavy”, which becomes the fourth entry for Ty, the other three are all within the Top 100 this week, “Sucker for Pain” (TW-9), guest vocals on “#WherestheLove” (TW-25) and Fifth Harmony’s “Work from Home” (TW-57).